Join President Bharacha and other judges when they listen to a blind test between of the world-renowned Stradivarius violins and the best of those made using modern methods. Stradivarius violins, made by the legendary studio based in Cremola, Italy during the 17th and 18th centuries, are famous for their "unmatched" tone. Can experts tell the difference? A violin recital featuring the Stradivarius will follow the blind demonstration. 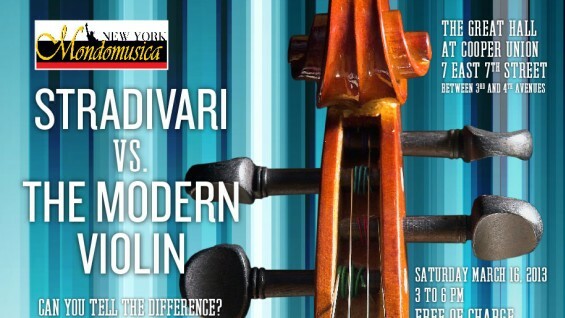 The event is part of MondoMusica: New York, a multi-day event bringing together some of the world's top violin makers. The event will be part of a documentary film to be broadcast by the Japanese national TV NHK.